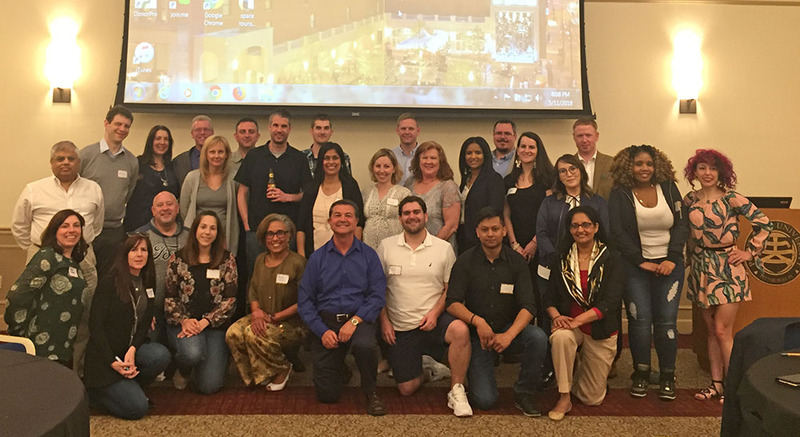 Point Park University MBA graduates who have taken the special topics course Macro-Projects and International Regimes, taught by Professor Dimitris Kraniou, Ph.D., gathered May 11 for a reunion celebration on campus. This unique course, taught by Kraniou for the past 30 years, encourages students to analyze issues of planetary proportions that have global implications — such as the Law of the Sea Treaty, the Antarctic Treaty, the Outer Space Treaty, the Moon Treaty, the management of industrial facilities near Earth's orbit and the utilization of extraterrestrial minerals and other resources. "The class takes students to higher intellectual plateaus because of the tendency to extrapolate, to ponder and analyze 'what if' situations," Kraniou said. According to Kraniou, one of the main objectives of the course is to expose students to a systematic array of global problems, issues and complexities that require answers. Kraniou calls the alumni of his special topics class "Ramans," a term used by one of his students years ago that was derived from the hard science fiction novel Rendezvous with Rama, by British writer Arthur C. Clarke. At the reunion event, alumni discussed a variety of topics related to extraterrestrial resource utilization issues and reflected on their class experience. 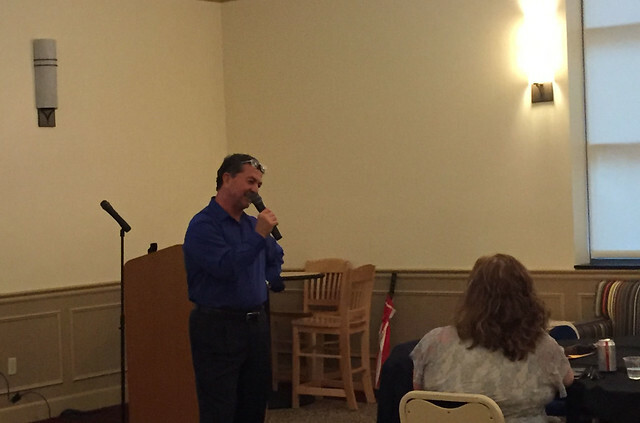 One of Kraniou's former students, Kari Carbone '00, said: “The event was delightful. It was wonderful to catch up with Dr. Kraniou, see old friends and meet new graduates of the program. We had a great time reminiscing about our experiences taking such a thought-provoking course." Kraniou added: "Many thanks to Dean Steve Tanzilli and the Rowland School of Business for their support of this event." Explore the MBA program at Point Park University and the variety of concentrations offered. Meet the faculty, request information, or apply online. Learn more about our graduate programs at an upcoming graduate open house Tuesday, June 19, 2018. RSVP online.